Whilst the Australians were here they cut two badges on the hillside overlooking their camps. At Hurdcott they carved a reminder of home – a map of Australia that survived into the 1960s. At Fovant they cut the huge Australian and Commonwealth Military Forces Badge. After WW1 and the closure of the camps, many of the badges and insignia carved on the hillside were neglected and faded back to grass. This was not the case with the two Australian badges. From about 1919 the Australians provided financial support to local people for the upkeep of their badges. 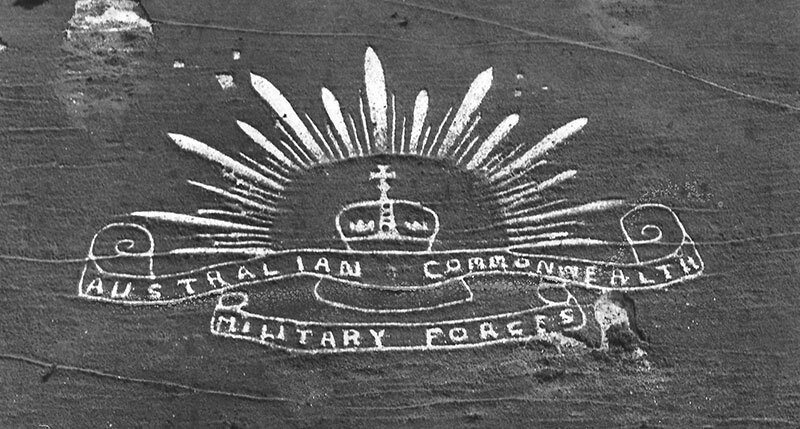 This tradition survives today and The Fovant Badges Society receives a grant from the Australian Department of Veteran Affairs for the upkeep of this magnificent memorial to the troops of Australia that rushed to Britain’s assistance in WW1. The Australian Army also seconds an officer to attend the meetings of the Society’s Trustees and plays a very active role in the affairs of the charity. We also receive regular visits from Australians visiting the area and we welcome such visits and where possible we try to meet and guide our visitors around the various sites of interest. The Society has a number of members living in Australia and we would like to thanks them and the Australian Department of Veteran Affairs for the continued support and involvement in the Fovant Badges. 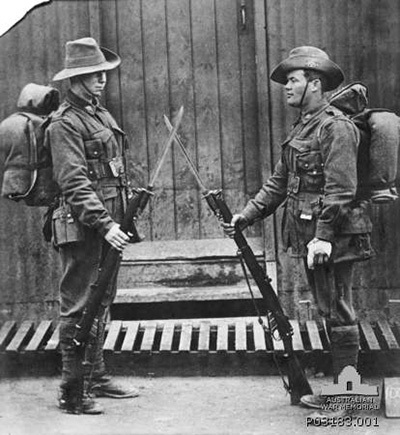 At the time of writing (January 1, 2015) the Centenary of Anzac Day (Saturday April 25, 2015) the Trustees of the Fovant Badges Society wishes to record our thanks for the sacrifices made by all Anzac troops. 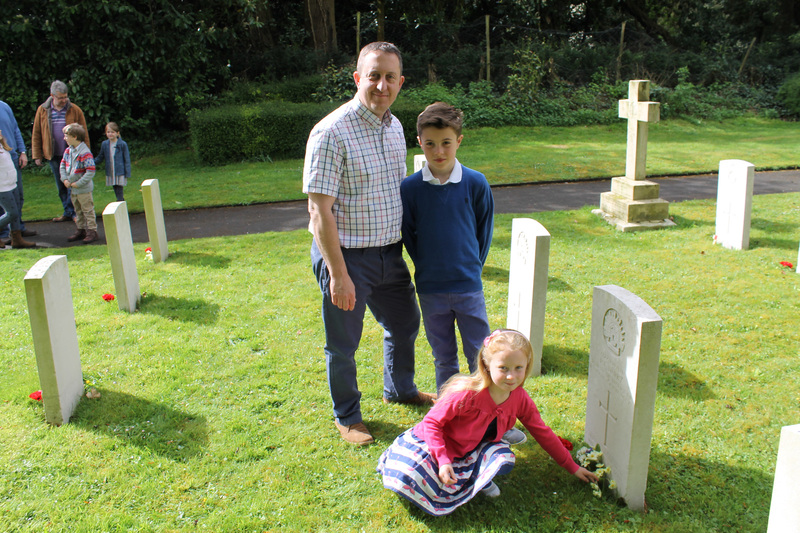 A number of Fovant families, whose children attend our local School at nearby Dinton, placed posies of spring flowers on the graves of the oldest and youngest Australian WW1 soldiers buried in St George’s churchyard on the morning of 25 April 2015. 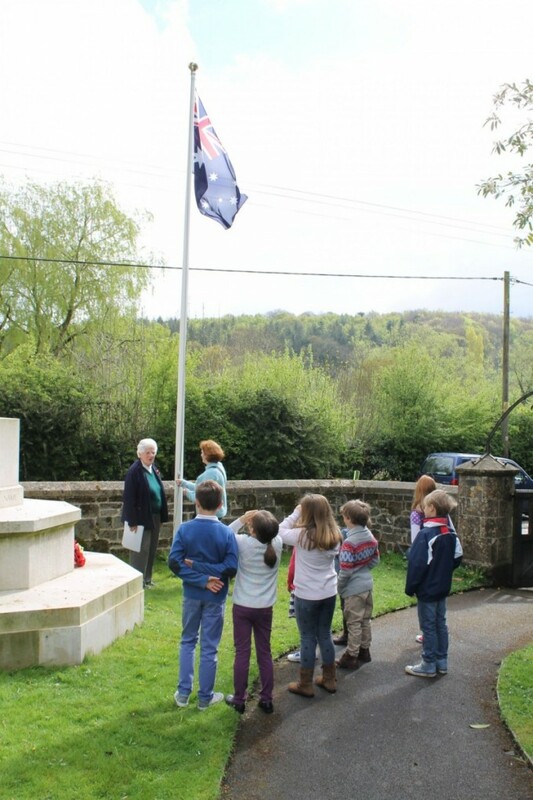 Margaret McKenzie (our resident New Zealander) of the Fovant History Interest Group explained the significance of the centenary to the children. Margaret places poppies on all of the military graves and raises the Australian flag every year on ANZAC day. 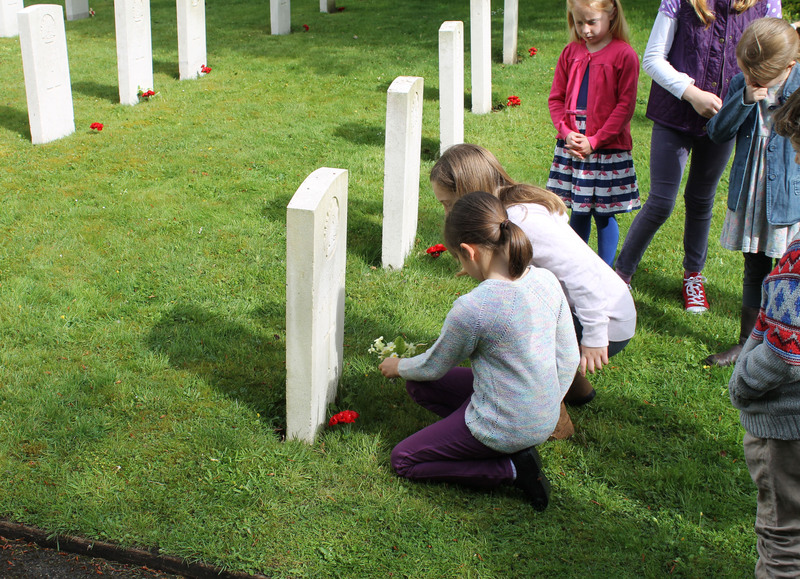 This was a special year though and so it was decided to revive the tradition of Fovant children placing flowers on the graves of fallen soldiers, a tradition that goes back to the 1920s. Andy Nuttal and his children at Private (7427) R C Darby’s grave. Fovant schoolchildren lay flowers on Private (3662) L Watt’s grave. Flowers were also placed on the cenotaph to mark the loss of all ANZAC and British soldiers in the Gallipoli Campaign. The children’s school teacher Mrs Sharon Harvey raised the Australian flag. Also present was Andy Nuttall and his children. Andy’s father Roy was the long-time serving Secretary of the Fovant Badges Society so Andy was maintaining his family’s close ties with the badges into the third generation. The Australian Flag is raised on the morning of 25 April 2015.